Architecture icons of Boston's North End and Financial district. 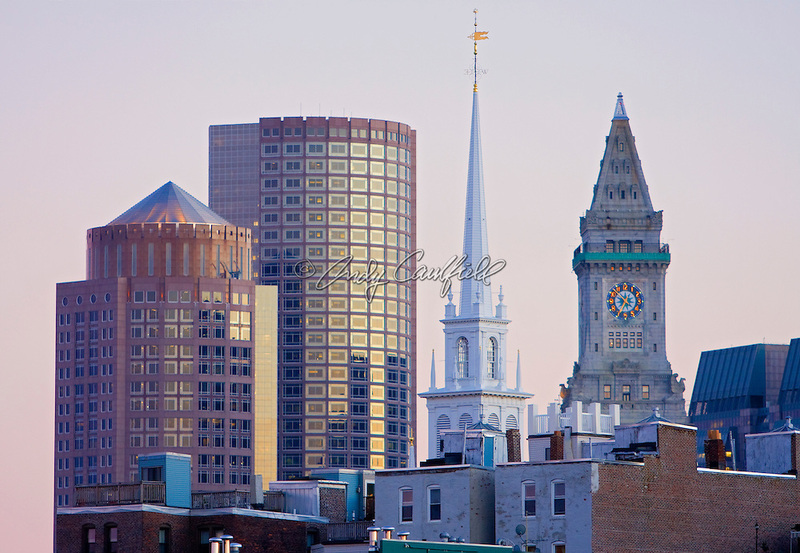 Modern office building rise behind the steeple of the Old North Church and clock tower of the Customs House. Boston, MA. © 2007 Andy Caulfield All Rights Reserved.